Main Lobby: The main lobby is staffed Monday-Friday 8:00AM – 7:00PM and is closed Saturday, Sunday and Holidays. After Normal business hours proceed to side door adjacent to parking area and utilize the telephone located in the yellow box. This telephone rings the dispatcher who can assist you or summon a police officer to assist you. Fingerprinting: For East Lyme Residents or East Lyme Businesses, fingerprinting is done Monday through Friday at 8:00AM or at 4:00PM (except on holidays). Meeting Room Scheduling: Meeting and Training Rooms can be used by non-profit groups based in the Town of East Lyme after normal business hours. Please contact our Administrative Assistant, Deb Levandoski for details and availability. Drug Disposal: The Police Department accepts expired and unused medicine during normal business hours (Monday – Friday, 8:00AM – 7:00PM except holidays). Unfortunately, we cannot accept liquids, Chemotherapy drugs or needles. Tips: Anonymous Tips may be submitted via smartphone app, text or web form. Community Alerts: Signup to receive alert notifications by email or text.. The Town of East Lyme continues to provide outstanding police service and protection to its citizens via the East Lyme Police Department. The Chief of Police Michael Finkelstein, in conjunction with Administrative Sergeant Michael Macek and Patrol Sergeants, Bruce Babcock, Paul Renshaw, Terry Saffioti, Joseph San Juan, Dana Jezierski, and Mark Hallbauer provide direction and supervision to the East Lyme police officers on a twenty-four hour basis. 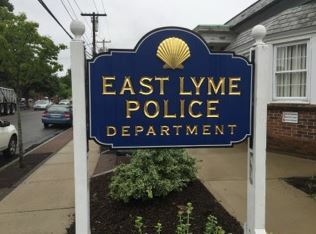 The East Lyme Police Department currently has 22 full-time officers, 1 part-time officer, 1 full-time Administrative Assistant, and 1 part-time Administrative Secretary. 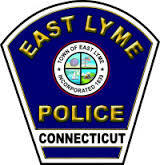 Anyone interested in becoming an East Lyme Police Officer should visit the Law Enforcement Council of Eastern Connecticut web site at www.LawEnforcementCouncil.org. The East Lyme Police Department provides additional services to the town, including beach, foot, bicycle, boardwalk, and boat patrols. Detective Mark Comeau and Detective Jean Cavanaugh serve as the Town’s Detectives. Detective Comeau investigates crimes of a serious nature, which require in depth exploration and collection of physical evidence. Detective Cavanaugh investigates felony crimes of sexual violence and juvenile matters. Officer Don Hull teaches Challenge substance abuse education. Sergeant Mark Hallbauer has been instrumental in the development and administration of a Police Cadet Program, www.EastLymePoliceCadets.org, which currently has 22 members. Officer Michael Jezerski, and his canine partner Jimo along with Officer Lindsay Cutillo, and her canine partner Knox offer exceptional service to the Town of East Lyme.